Acoustic Guitar, November 2012, No. 239 - Loudon Wainwright III: Not Done Yet, 5 Hybrid Nylon-Strings Reviewed, How to Shop for a Classical, Andrew York, Bottleneck Slide Lesson with Kelly Joe Phelps. New product for the week of Sept 24th, 2012. Concert Band, Sheet Music Package Download, Concert Band, Level 2. Inspired by the mountains of West Virginia, "Valley Mist" portrays a beautiful scene of cloud-like mist as it flows gently around the hills encompassing the entire valley in an atmosphere of peace and tranquility. Quoting the Appalachian folk song "Down in the Valley", this sensitively scored work includes an optional gentle rain effect with the use of finger snaps. Sure to be an enjoyable change of pace for any program. Dur: 3:35 Composer: Robert Longfield. Writer: Robert Longfield. Concert Band, Sheet Music Download, Concert Band, Level 3.5. Composer: Richard Saucedo. Writer: Richard Saucedo. 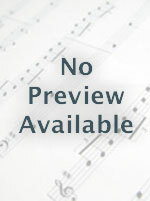 Concert Band, Sheet Music Package Download, Concert Band, Level 3.5. "On Cloud Nine"
On Cloud Nine! - Baritone B.C. On Cloud Nine! - Baritone T.C.